Is it a sign of a turnaround when the nations top homebuilders increase advertising and production? Keep an eye out for big names like – Pulte Homes (PHM), Centex (CTX), Kaufman and Broad (KB Homes) (KB), Ryland Group (RYL), Del Webb (DEL), Lennar (LEN), Richmond American Homes, Beazer Homes (BZH, BZU), Hovnanian (NasdaqGM HOVNP), Toll Brothers (NYSE – TOL), Shea Homes, D.R. Horton (DHI) and the others as the ramp up their marketing and production. When construction comes back, that is a very good sign that you, our client, is making excellent investment choices when buying below the cost of construction. Jason’s key phrase/metric is “Regression to Replacement Cost(TM)” https://www.jasonhartman.com/2011-trend-predictions-in-real-estate/ and it will serve you well in these changing times. Memphis is the youngest of Tennessee’s major cities. 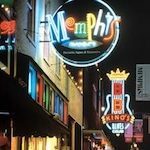 A resident of Memphis is referred to as a Memphian, and the Memphis region is known, particularly to media outlets, as the “Mid-South”.